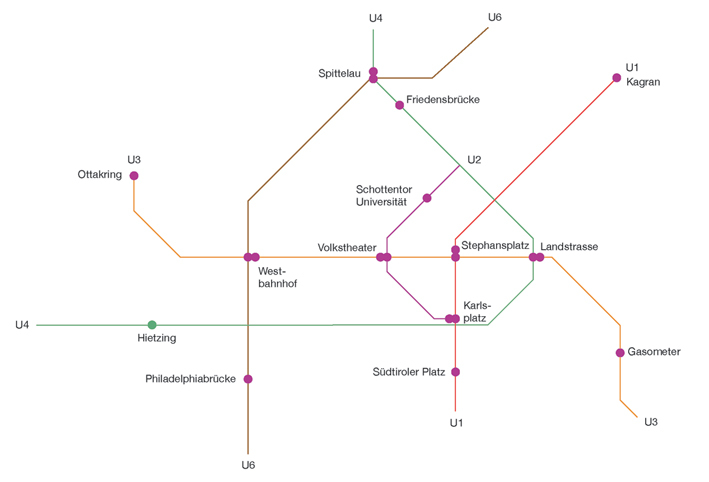 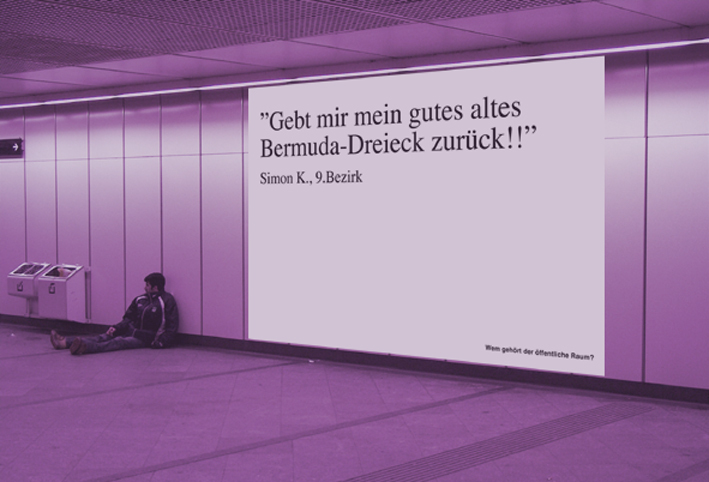 An intervention in the Viennese subway. 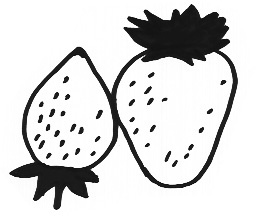 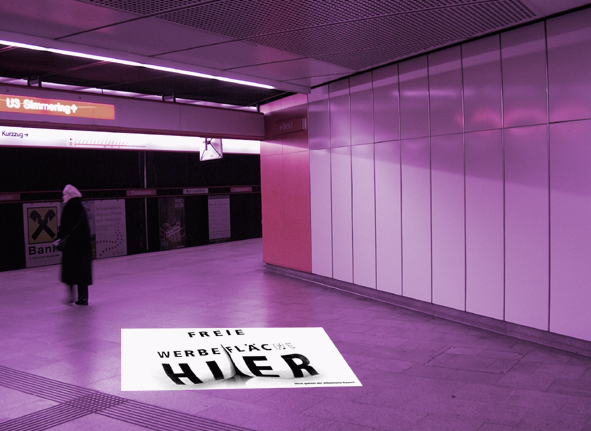 Competition entry for KÖR – Kunst im öffentlichen Raum Wien. 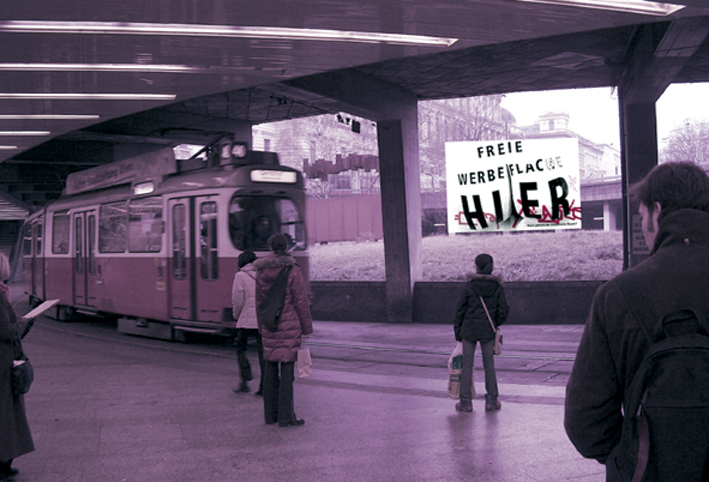 Art in public space Vienna. 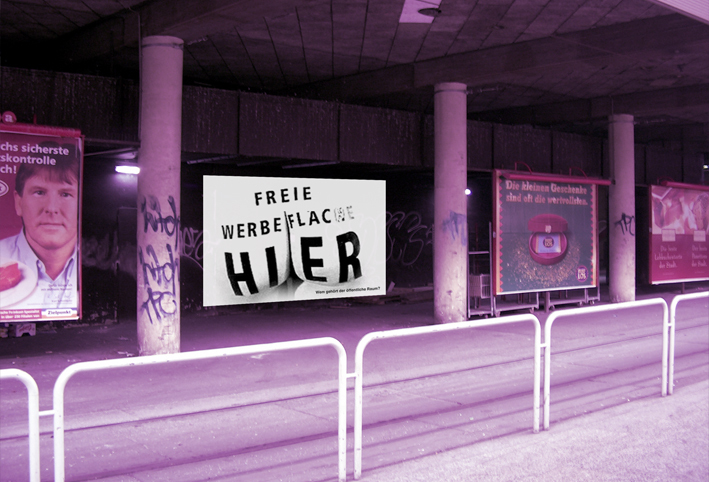 The words Freie Werbefläche hier (“Free Ad Space here”) appear on billboards and monitors. 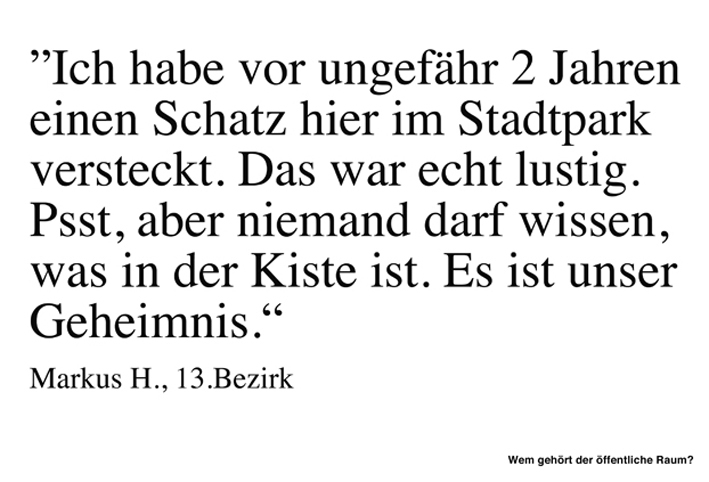 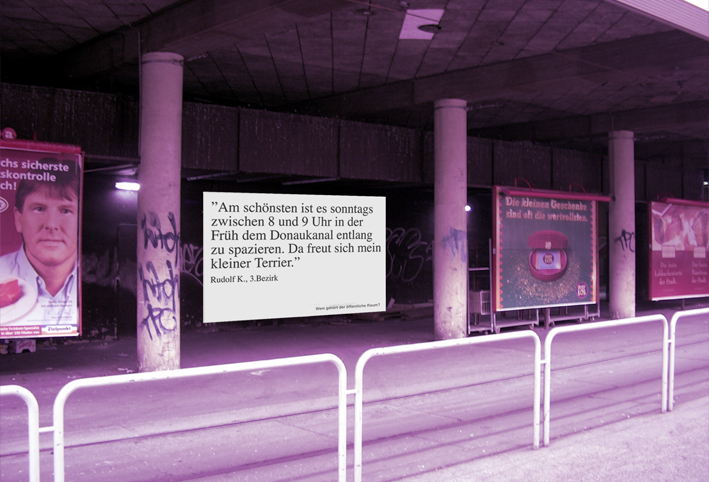 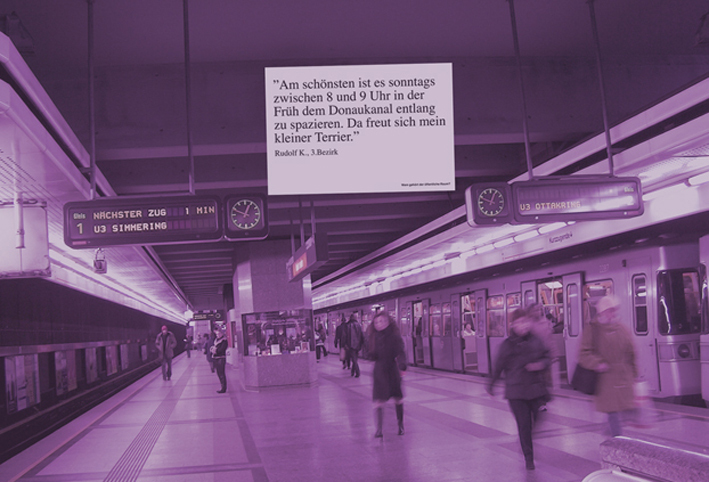 In phases two and three Interviews are conducted with the citizens of Vienna and subsequently printed on billboards. 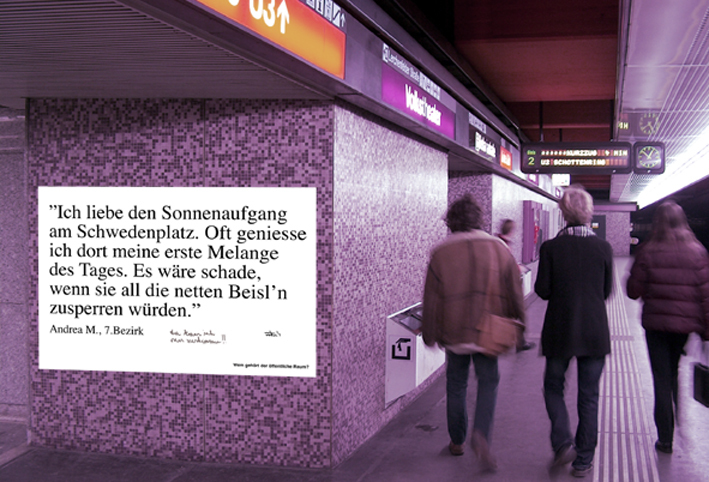 The campaign animates the citizens to discuss their immediate public spaces and develop critical points of view.